The 2017 awards season officially kicked off last night when the 74th Annual Golden Globe Awards took place at the Beverly Hilton Hotel hosted by Jimmy Fallon. And no surprise, the stars came out in droves and looked amazing in gorgeous gowns. So here are our favorite and not so favorite looks of the evening. In an Atelier Versace gown. In an Elie Saab Haute Couture sleeveless deep-v neckline gown. In a Zuhair Murad couture gown. In a plunging sequined Jenny Packham gown. In a Valentino couture gown. In a sheer gray Vionne gown. Anna finished her look with Neil Lane jewelry and a Tyler Ellis bag. In a sheer Louis Vuitton dress. In a J Mendel dress complemented with Giuseppe Zanotti shoes and clutch, and Lorraine Schwartz jewels. In a yellow Reem Acra dress that featured a plunging necklince. In a Zuhair Murad dress. In a two-toned pink Gucci dress complete with a bow. In a Monique Lhuillier gown. 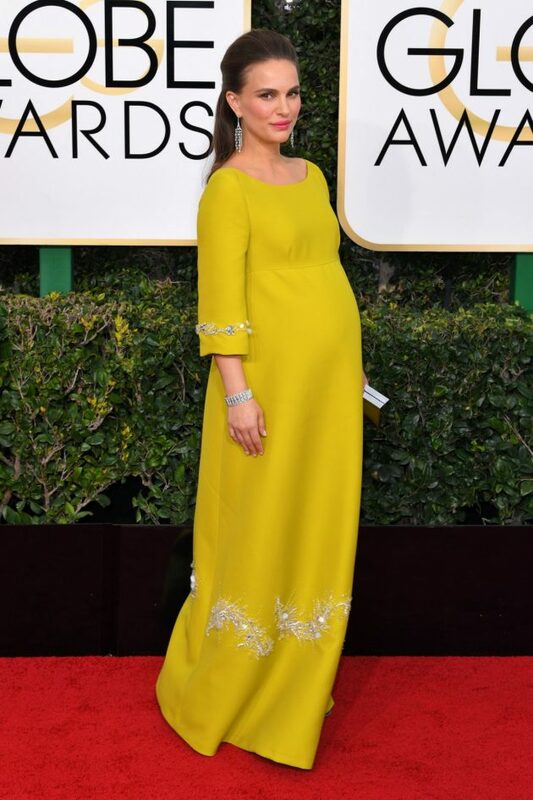 In a yellow Prada dress and Tiffany jewelry. In a classy black Naeem Khan caped gown. In a custom Vera Wang gown. Hailee finished her look with Forevermark jewelry and custom Stuart Weitzman shoes. In a sheer yellow Dolce & Gabbana gown. In an elaborate ruffled Iris Serban gown. In a blue embellished Prada dress. In a spiral pink chrome gown by Atelier Versace. In a custom black velvet Atelier Versace dress. 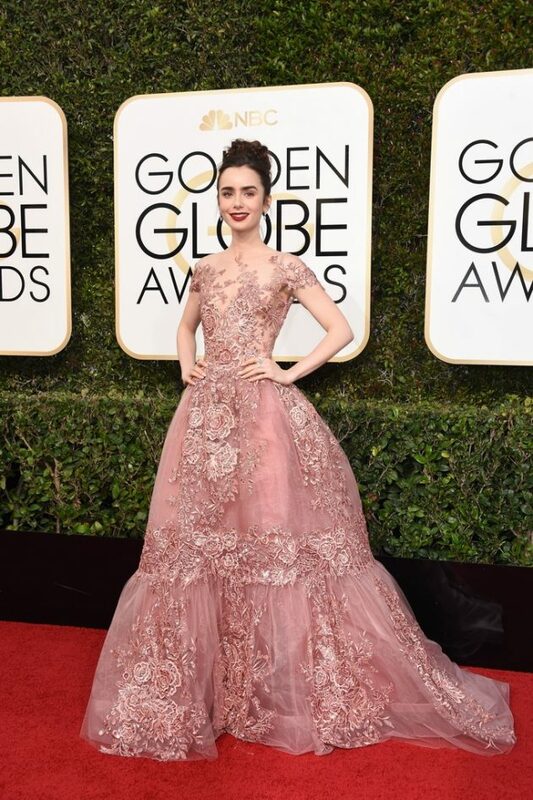 In a pink lace, sheer-topped, Zuhair Murad dress. In a plunging gold Ralph Lauren gown.